This luxury camping site is set on the shore of the Adriatic Sea in the Cavallino region of Italy. Not only is this area blessed with enchanting natural beauty, but also there are endless sunny days for lovers of luxury camping to enjoy. In addition to exploring the area, people who book a mobile home at Mediterraneo Campsite will find an excellent range of facilities and amenities for them to make use of. 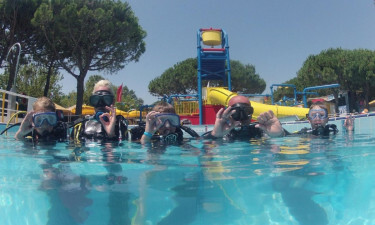 What makes Mediterraneo Campsite so special? The beach is just a short stroll from this leading campsite bookable via LuxCamp and most visitors choose a mobile home here so that they can spend their days soaking up the sun on the sandy shore and splashing around in the sea. Additionally, the site features a large outdoor swimming pool that has a children’s play area for kids with several waterslides, as well as a relaxing whirlpool and a splash pool. Naturally, young children will want to spend time running wild at the beach and this is a very safe place for them to play. 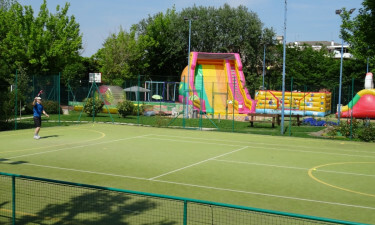 Mediterraneo Campsite also features a large and very colourful children’s playground complete with a climbing frame, while playing miniature golf on the onsite course is a good bonding experience for families. People who rent a mobile home at the site will also find that it comes with a television as well as wi-fi access. Just because you are on holiday, it does not necessarily mean one has to risk piling on the pounds or turn into a coach potato. Guests are given full access to the onsite fitness centre, which comes with a full complement of modern fitness equipment such as exercise machines, bikes, rowing machines and running treadmills. Special aerobics classes are also organised here throughout the day; guests will also be able to join step fitness sessions as well as yoga exercise groups that are held each day in the early morning and evening on the beach. 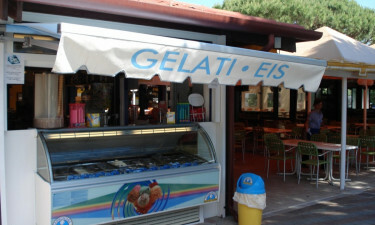 The onsite restaurant serves up an excellent range of local dishes that are suitable for the whole family to enjoy. The outside dining area offers a scenic setting to enjoy a range of culinary treats while soaking up views of the ocean; live bands play here in the evening to keep diners amused and entertained. The evenings are the real highlight of a camping holiday at this vibrant site and people who like to party are sure to have fun here. An excellent entertainment programme is provided at the Tattoo Fun & Drink Bar; this is a great place to meet other guests and dance the night away to live music or floor-filling tracks, spun by local DJs.